Flask-Diamond is a volunteer effort. This page discusses the Contributors Agreement and Contributors List. 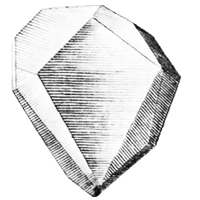 This page is also the official document for signing up as a contributor to the Flask-Diamond project. To learn more about how you can volunteer, please read How to Contribute to the Project. Contributors will add their name or well-known pseudonym to the Contributors List. Contributors to the Flask-Diamond project signify acceptance of the Contributors Agreement by submitting a git pull request appending themselves to the Contributors List.